Mumford Books - Selling Agent service. Free help and advice. NEW Selling Agent Service (Family Heirlooms only, not for large collections). For individual owners, custodian, trustee, beneficiaries, or where there are multiple family heirloom owners wish to sell at Auction Sale. A 6-Month Contract with Mumfordbooks as your sole selling agent to organize and advise a timetable of suitable Auction Sale Dates, to negotiate the best sale terms. 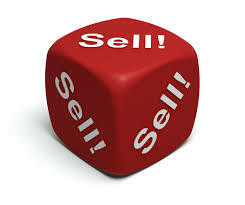 Commission rates are 17% or higher, we will negotiate reduction with the auctioneer to give you the best result. Arrangements made to provide suitable photographs, and tips given to present sellers the advice to present their goods in pristine condition to maximise auction sales. Mumfordbooks will send you regular email updates and progress reports as and when. If not sold within the agreed 6 months this contract will end, with £200 one off Fee charged. For Mumfordbooks Services will be your personal selling agent with the sole propose to find a suitable auction sale for a charge 1-2% Fee, taken off the Auction Hammer Price. From monies received from sale will provide a balance sheet showing all deducted costs and fees leaving a net balance to be paid out. This agreement is to be signed and dated by all owners and Michael Robert Mumford for Mumfordbooks. Two, 1 page-sets of signed contracts, one page to be retained by owner(s), the other by your selling agent Mumfordbooks. Please photograph any provenance evidence, like the conservation done, 100% books page count and true-full condition. A statement from you as to their condition verified by Mumfordbooks valuation based on our emails. Within the next 2 month(s) and over the next 6 months maximum time limit, the contract will end. You must agree to deliver and sign over and agree the auctions terms to Mumfordbooks your sales agent. If un-sold a fee of £200 to be paid for services rendered. When we have exchanged contracts I will start sending you details of book auctions with dates. We then make all the necessary arrangements to be sold at auction. From monies received from sale will provide a balance sheet showing all deducted costs and fees leaving a net balance to be paid out to owner(s), within one calendar month.